Shopping for a mortgage loan? We will be glad to assist you! Call us at (303) 300-8601. Ready to get started? Apply Online Now. When you need a mortgage loan, you should know the difference between a loan officer and a mortgage broker. People frequently confuse the two as both will glean the same outcome: a new home. However, knowing how they differ will be valuable to the mortgage loan process. During the mortgage loan process, an individual or company who is an independent agent for the mortgage loan borrower as well as the lender is a mortgage broker. Your mortgage broker will stand as coordinator between you and the lending institution; which may be a bank, trust company, credit union, mortgage corporation, finance company or even an individual investor. Which lender offers the mortgage loan that fits your needs? A mortgage broker will lead you to the right fit. Your broker will present your mortgage application to a handful of lenders, and works with the chosen lender until the loan closes. If the loan closes, the broker's commission is paid by the borrower. Lending Institutions (banks, finance companies, and others) employ loan officers to promote, and process loans solely from that specific institution. While a loan officer may offer quite a variety of loans, they will be products of that lender alone. A loan officer represents you to the bank or other lending institution. The borrower is guided through the entire process, from loan selection to closing, by the loan officer. 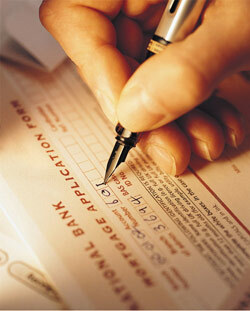 Lending institutions compensate their loan officers with a commission or salary. In Search of a Mortgage ? Call (303) 300-8601.